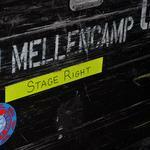 I have been a member of the John Mellencamp Community since 2012 and I have posted comments many times on this site. I was just reviewing my profile and the stats state I have only posted once on this site, which is not true. I am now listed as a "Mellencamp Community Member" and I had previously achieved the status of "Experienced Mellenhead" So, just curious if changes have been made to the website, resulting in wiping out old posts, stats, etc. I see this has happened to other community members who have also posted many times on this site and the same thing is showing for recent posts by them...that they have only posted one or a few times. This certainly is not a big deal, just curious as to the reason why this has happened. Never mind, I figured it out...my husband is a member, too, and I think that somehow his stats were getting crossed with mine on my account. Mystery solved! !